Thank you for visiting the orthodontic website of Dr. Casey O’Conor, where a nice smile is always in style! We look forward to making your visit with us something to smile about. Dr. O’Conor and our staff want to give you not only a beautiful smile, but a healthy, inexpensive smile also. We treat our patients the same way we want to be treated: with the finest technical skill and personal care available. So please join us in creating a beautiful, healthy smile for you! We take pride in offering the latest orthodontic treatments and technologies available for children, teens, and adults. We offer a full range of braces to choose from, including metal braces, ceramic braces, and Invisalign® clear aligners. Dr. Casey O’Conor and our entire team look forward to seeing you smile! Contact our Cleveland or North Ridgeville orthodontic offices to schedule your free consultation! 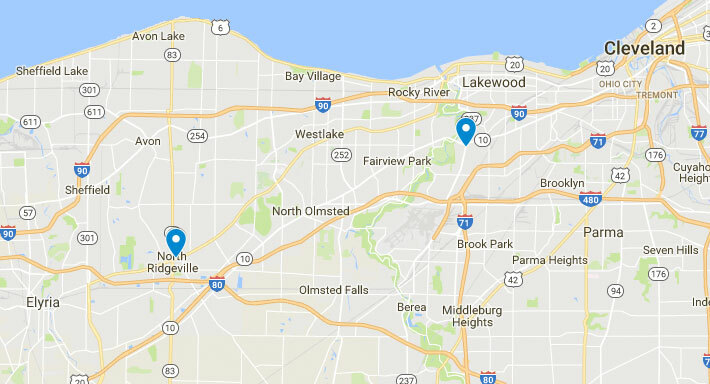 We are proud to serve the surrounding west side communities of Avon, Avon Lake, Bay Village, Elyria, Fairview Park, Lakewood, North Olmsted, Rocky River, Westlake, and Westpark. Say "goodbye" to the goop-filled impression trays and say "hello" to the iTero Element scanner! With an iTero scan, Dr. O'Conor can plan your treatment with a high level of precision, ensuring you achieve your new smile as quickly and comfortably as possible. If you have a bad bites, jaw bone abnormalities, or malocclusion, surgical orthodontics may be necessary for you to achieve an ideal smile. Orthognathic surgery will help properly align the jaw, and orthodontic braces will then be used to move the teeth into their proper position. We offer the clear alternative to braces with Invisalign aligners. With no wires and no brackets, Invisalign treatment is designed to straighten your teeth using a series of clear, removable plastic aligners. No one will know you are having orthodontic treatment unless you tell them! Metal braces are available for patients who want express their style with colorful bands, while ceramic braces offer a more aesthetic treatment option that allow patients to better camouflage the appearance of braces.